Do आप think Janitor's stuffed squirrels are cool या creepy? प्रशंसकों के पसंद: Jiggly Ball. How excited are आप to find out the janitor's real name in the season finale? what do आप think of lady? Neil Flynn is performing in the Del Close Award for the Advancement of Improvisation presented द्वारा Charna Halpern with The Family, June 12th at 9 pm at iO West! Tickets are only $25! no one knows his real name, not even the other characters on Scrubs. 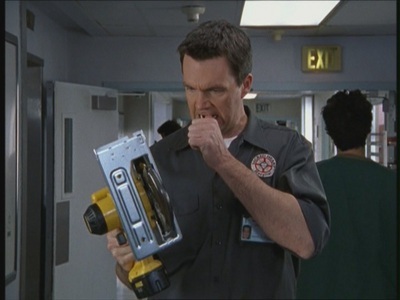 He is called The Janitor because that is his job at Sacred दिल Hospital on Scrubs. The Janitor is interesting because his antics will lead a viewer to believe that he is absolutely insane and yet The Janitor will come up with ingenious ways to torture the character known are J.D. 5.) He was dropped on his head as a small child द्वारा his equally insane parents.